MPD automated choke manifold &(MPD)Managed pressure drilling choke manifold is the most key important well control equipment which is often used on oilfield both onshore and offshore drilling environments during underbalanced drilling/UBD, managed pressure drilling/MPD methods, Pressurized mud-cap drilling (PMCD), Constant bottom hole pressure (CBHP), Returns flow control (RFC), DGD, and other drilling operation under pressure. 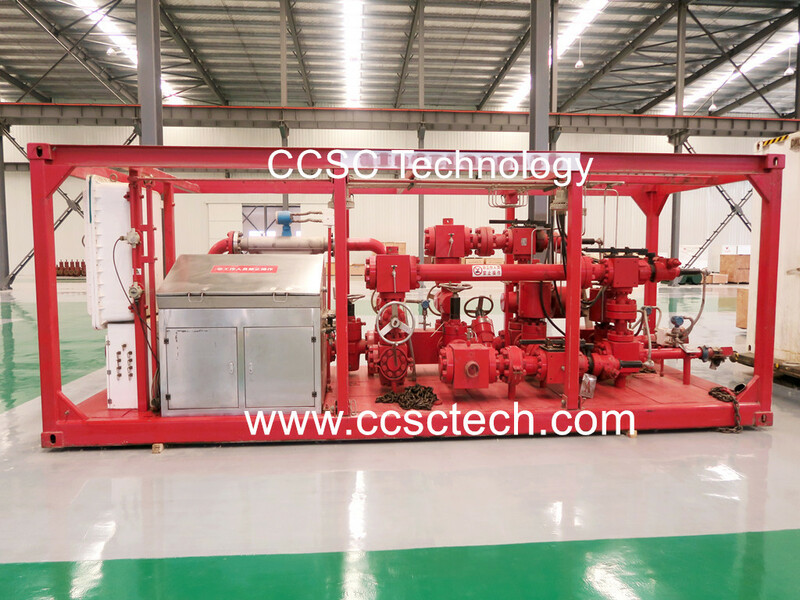 (MPD)Managed pressure drilling choke manifold is usually operated by an automatic control system, it can control the manifold by using Various Data and the software have an Interaction with the PLC system which is on the automatic choke valve so as to control the choke valve .CCSC technology MPD automated choke manifold is usually equipped with an automated back pressure pump system together during the process of drilling, in order to compensate the throttled flow if stop pumping and Low pump speed happened. An automated back pressure pump can maintain the normal circulation of the choke manifold. We are usually adopt T3 energy HXE choke valves on our MPD choke manifolds. 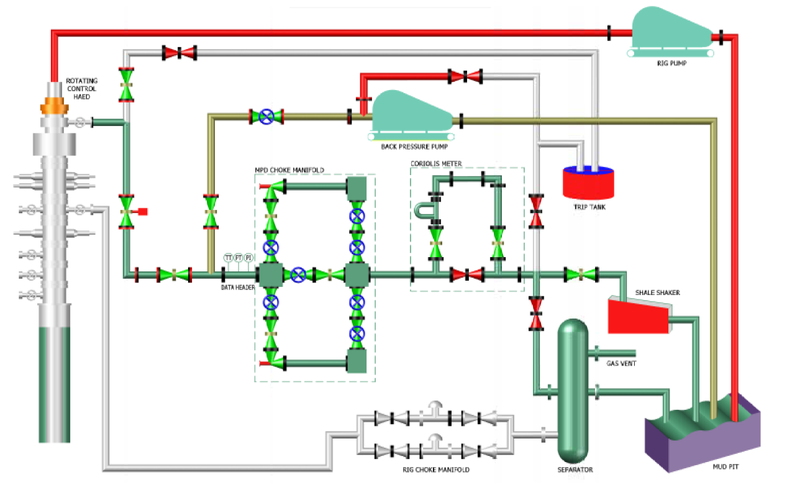 Usually the key components of MPD operation include precise pressure control choke valve, accurate modeling software, accurate monitoring of flow in/flow out equipment flow meter, formation protection via automated relief pressure system with accuracy 0.5%, method for maintaining bottom hole pressure during connections etc. CCSC Technology MPD choke manifold is designed and manufactured in accordance with API 16C&API 6A.it is manufactured and improved from Weatherford MFC system, Halliburton automatic choke system, Varco continuous circulation system, Optimal MPD, Schlumberger At Balance MPD manifolds etc. ●Managed Pressure System allows access to all previous drilling data. the well model and then automatically modulates the choke to achieve the desired annular pressure. The Main Operating Screen is shown here.